If your dog is averse to baths, this could be a life saver! Bathing dogs isn't always as straight forward as you'd think! 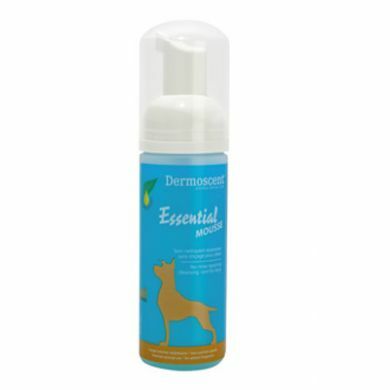 Dermoscent Essential Mousse is similar to a dry dog shampoo as it cleanses fur and you don't need to rinse it out. This mousse works to deordorise and remove dirt gently, while moisturising and soothing skin and calming any areas of irritation. Hemp oil as an ingredient is useful in keeping the skin hydrated and the omega fatty acids boost your dog's coat to shine. The pump makes the whole process smooth & easy. 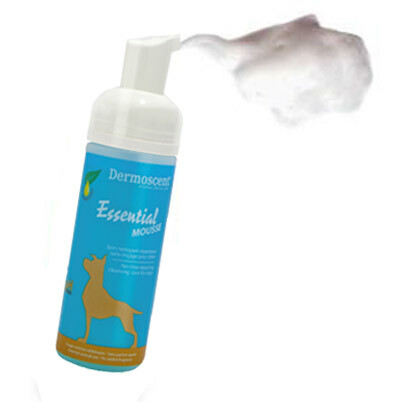 Massage the foam right into your pet's fur - if possible in the opposite direction of the fur. Towel rub dirt off your dog. Leave in to dry and then brush your dog. Ingredients: Hemp oil, essential oil of niaouli, a saponaria root extract, a soothing agent derived from pumpkin seeds, cleansing base contains a lichen extract and lipoaminoacides from green apples.